Size of the Industry Trade growing at a rate of 30% per annum. Indian sub continent is the second largest manufacturer of garments after China being the global leader in garment production. 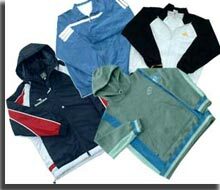 India is known for its high quality garments for men and most of the garment manufacturers are in the Small and Medium scale industry. Indian men's clothing industry has been growing steadily over the past few years, this has been possible owing to the Indian male becoming more fashion conscious, and hence there is more consumption which has increased global demand of men's garments by the rest of the world. India Garment Industry has an advantage as it produces and exports stylish garments for men at economical prices due to cheap labour rates. Today the by the way of Technological advancement and use of sophisticated machinery it has enabled the manufacturers to achieve better quality and well designed garments. India's Garment Industry has been rapidly growing in last few years. Exports have been rising as there is an increase in orders from global buyers accompanied by a rise of investments in the garment sector of the country. The Garment Industry is of major importance to the Indian economy as it contributes substantially to India's export earning, it is estimated and analyzed that one out of every six households in the country depends on this sector either indirectly or directly for its livelihood. From all over the world the Retailers also increasingly come to India attracted by low production costs. The large brands among them are Wal-Mart, Tesco, and M&S. India's Garment Industry isa well-organized enterprise and is among the best in the world. 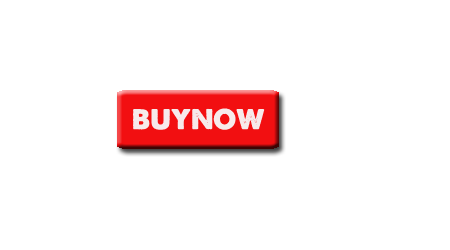 It constitutes of designers, manufacturers, exporters, suppliers, stockists, and wholesalers. Indian Garment Industry has carved out a niche in the global markets and earned a reputation for its durability, quality and beauty. Today's changing consumer preferences - buying branded apparel and fashion accessories, major boom in retail industry, people shopping at department and discount stores, shopping malls, with rising disposable incomes, government policy focused on fast-track textile export growth, and ambitious goals have created several investment opportunities in India. Government has even made effort to include benefits for Garment Industry. The annual plan for 2007-08 formulated by Indian government to promote the textile sector, includes schemes for attracting foreign direct investments, brand promotion through public-private partnership (PPP) for global acceptance of Indian brands, trade centers for facilitating business and image building, fashion hubs as a stable marketplace for Indian fashion, common compliance code for creating apparel standards for the benefit of buyers, and training centers for developing human resources. Indian garment industry`s has a decentralized production structure - subcontracting, which is low risk and low capital-has served the industry well but has excluded Indian products from the mass market for clothing, which demands consistent quality for large volumes of a single item. Today India is booming with fashion and lifestyle, with the organized retail trade growing at a rate of 30% per annum. The Indian apparel or Indian garment industry is pegged at more than 90,000 crores with nearly 13% growth per annum. 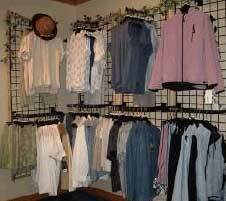 The men's garment or clothing segment constitutes nearly 45 % of the total apparel market and growing at a constant rate each year. The share of organized branded segment in men's wear is fast increasing in the Indian apparel market. Indian Garment Sector earns high export revenue, it has witnessed substantial profit accruing to retailers and Indian manufacturers are reflected in garment workers' wages. In 2004, Asian trade in the Garment Industry was to the tune of 138 billion US dollars. In Bangalore itself there are large retail chains from the US and Europe - like GAP, Walmart, Tommy Hilfiger and JC Penny - have outsourced orders to large factories to the tune of 269.6 million US dollars in 2005. In 2006, India's textile industry (including garments) contributed 14% to industrial production, 4% to GDP, and 17% to export revenues which directly employed 35 million people including women and backward classes. Apparel exports totaled Rs 50,479 crore in 2009-10 compared to Rs 50,293 crore in 2008-09. But in dollar terms, all months of 2009-10 except July, August and November showed a painful downslide. Indian Garment Industry is closely connected to the fashion industry and grows hand in hand. With these even opportunities for the employment is also increasing to a larger extent. 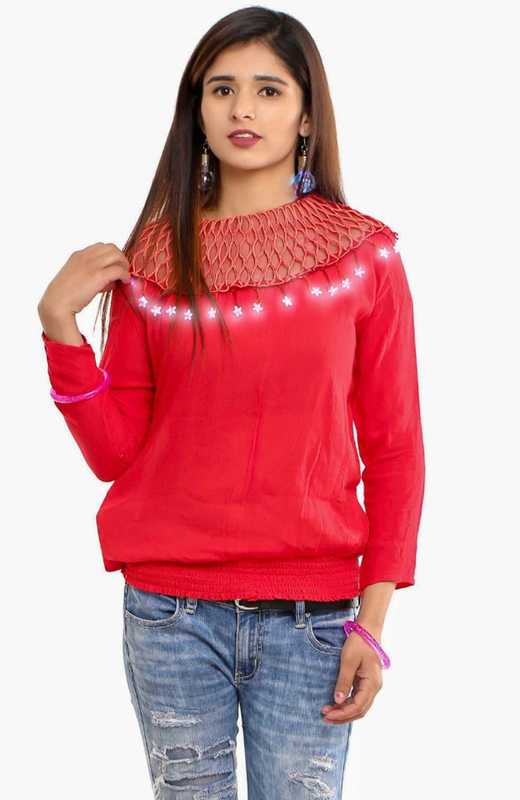 These high levels of fashion consciousness has created the need for candidates who are highly productive, efficient and have a passion to create new designs and give way to creativity. This Industry demands and requires both skill and diligence. India is an ultimate combination, like it has a matured garment industry for a long time along with a vast trained manpower. Some of the key areas to work are related to design and manufacturing, merchandising, import export according to the government policies, freight and shipments etc. work as designer, or a start up a business in the local market and expand the business to the others areas of the national market. In southern India's Tirupur town, young girls are lured to work in the garment industry with a promise of 'golden opportunity' to earn their own dowry at the end of a three-year apprentice period. Garment industry of Tirupur projects a turnover of Rs 10,000 crore this year, down from Rs 11,000 crore in 2006-07, thanks to the falling dollar. The industry employs 400,000 workers regularly and an additional 500,000 seasonally where most of them women and teenaged girls. The Indian Garment industry is today modernized via an exclusive scheme, which has set aside $5bn for investment in improvisation of machinery. International brands like the Levis, JC Penny, Wal-Mart, Gap, Marks & Spencer and other industry giants are sourcing more and more fabrics and garments from India. According to a study China and India will be major gainers. Where India could increase their share from present 8 % in US textile market to 13.5% and from 3% to 8% in US Garment market. 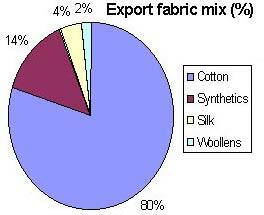 Morgan Stanley has projected India to be one of top three exporters of textile and garments. However, the garment industry in India faces stiff competition from countries such as Bangladesh, China and Vietnam. There is a pressure on the Indian garment industries to produce finished garments at lower costs to survive the cut-throat competition. Today, around 45% of the total textile exports in India account for ready-made garments. Garment Industry in India is looking at achieving an export target of $25 billion- an Apparel Export Promotion Council (AEPC) official said. AEPC plans to set up 50 training centres besides the 22 centres it has at present across the country.